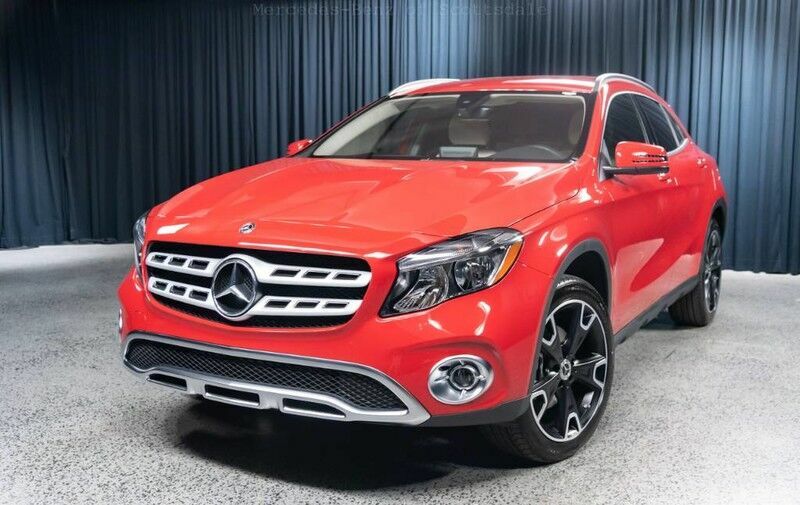 Contact Mercedes-Benz of Scottsdale today for information on dozens of vehicles like this 2019 Mercedes-Benz GLA GLA 250. This Mercedes-Benz includes: PREMIUM PACKAGE Keyless Start HD Radio Hands-Free Liftgate Heated Front Seat(s) Satellite Radio Power Door Locks Keyless Entry Blind Spot Monitor Remote Trunk Release SMARTPHONE INTEGRATION Smart Device Integration CONVENIENCE PACKAGE Auto-Dimming Rearview Mirror Universal Garage Door Opener SAHARA BEIGE, MB-TEX UPHOLSTERY Premium Synthetic Seats JUPITER RED *Note - For third party subscriptions or services, please contact the dealer for more information. * Want more room? Want more style? This Mercedes-Benz GLA is the vehicle for you. Everyone hates the gas pump. Skip a few gas stations with this super fuel efficient Mercedes-BenzGLA. Contact Mercedes-Benz of Scottsdale today for information on dozens of vehicles like this 2019 Mercedes-Benz GLA GLA 250. Want more room? Want more style? This Mercedes-Benz GLA is the vehicle for you. Start enjoying more time in your new ride and less time at the gas station with this 2019 Mercedes-Benz GLA. The Mercedes-Benz GLA GLA 250 will provide you with everything you have always wanted in a car -- Quality, Reliability, and Character. This vehicle won't last long, take it home today.